Jora Vision, a leading design and production company of themed attractions, is currently designing an indoor pirates-themed experience for Amikoo theme park adjacent to Cancún, Mexico, Latin America’s largest leisure development. The 5,000-square-meter attraction, named Los Piratas de Bacalar, will be part of the retail, dining and entertainment district of the Amikoo theme park complex, and will be developed as a stand-alone experience. 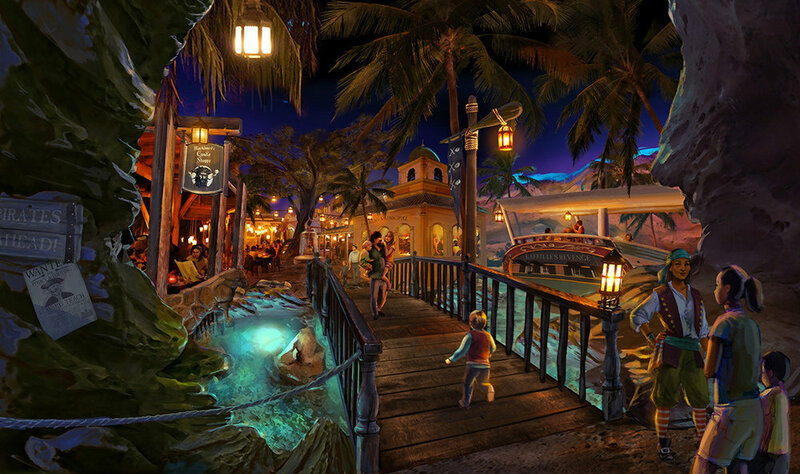 Los Piratas de Bacalar will feature a 50-minute walk-through attraction, a fully-themed buffet restaurant and a merchandise shop, all based on the rich pirating history of the Mexican Riviera Maya. The real fortress of Bacalar, Fuerte de San Felipe, built by the Spanish Navy in 18th Century, served as the inspiration for the multi-million dollar attraction. The high-capacity walk-through attraction consists of several rooms featuring live actors, animatronics, special effects and a ride system. All of this is based on real-life events, during which pirates attacked several ships and towns build by the Spanish and Mexican locals during the 18th Century. The mayan culture has an important role in the story of the experience as well. Guests of the attraction step back 300 years in time and discover the fortress in full operation. They will be guided in groups of 60 persons through rooms of the fortress, where they will meet Capitán Nicolas Pacheco and his crew to be prepared for a spectacular pirate battle on the Caribbean Sea. The walk-through’s climax features a new generation Immersive Tunnel developed by ride specialist Simworx, featuring a 60-seater vehicle themed as a ship, as well as state of art projection technology. Besides maritime pirate battles, visitors will face a mythical sea monster named Cipactli. All this results in an action-packed cinematic experience containing a great deal of special effects. For the complex’s dining experience, designers looked to the city of Campeche and its pirating history. 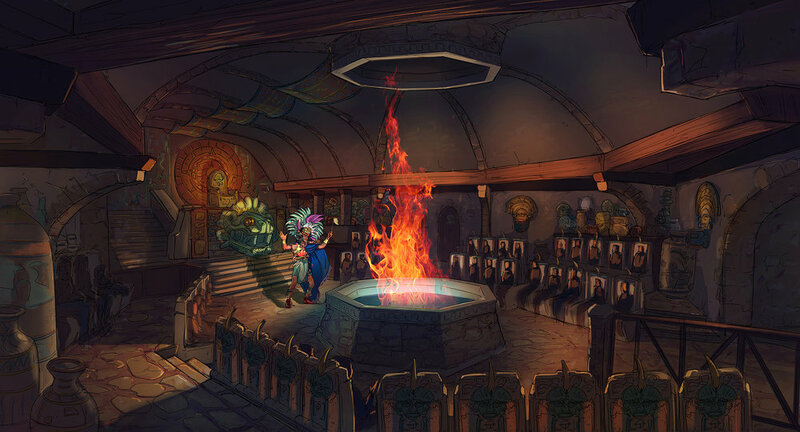 This bustling town will be brought to life not only by the décor, which features spectacular effects and animatronics, but also by the food, which too has links to history. Multiple times a day, the restaurant will be “under attack” by the Spanish Navy! The buffet restaurant and walk-through attraction will be ticketed within Amikoo’s Downtown district as either a combined or two separate experiences. “Currently, Jora Vision is in the detailed design stage of the project, developing not only theming design, but also coordinating other disciplines such as lighting, audio, video hardware and content, special effects and operations,” explains Robin van der Want, Project Development Director at Jora Vision. Jora Vision approached Los Piratas de Bacalar in a way that contrasts with the development of most theme park attractions. “Theme park attractions are designed in the context of a theme park; this type of attraction has to stand on its own”, explains van der Want. “Guests pay separately, meaning they expect value for their money in terms of time. A short experience will result in unsatisfied guests. Therefore, attractions found in theme parks, such as 4D theaters, roller coasters, or flying theaters can not simply be implemented without adding pre-shows, exhibits or other types of experiences to increase length and add experience value. In Los Piratas de Bacalar, which has an Immersive Tunnel show at the end, we have integrated 8 pre-shows, all telling a single coherent story to create an immersive experience”. Los Pirates de Bacalar will be the first attraction of its kind, combining a cultural walk-through attraction, an Immersive Tunnel and shows with live actors. The attraction is scheduled to open in 2019.